My apologies for the long absence. I have a tendency to get very wrapped up in my work when my work includes fun, funk & barrels. Today I want to get everybody up to speed on what we’ve been doing at Refuge with Brettanomyces because we’re really excited to be a part of the new wave of American Wild Ales. Our first foray into the world of Brett beers was Free Bird, a beer pre-determined to pour for our second Summer Nights event on June 21st. I will admit it was rather nerve-racking to promise a potentially slow-fermenting (funky) beer within a 6 week window, but you don’t start making Brett beers unless you like to live dangerously to begin with. 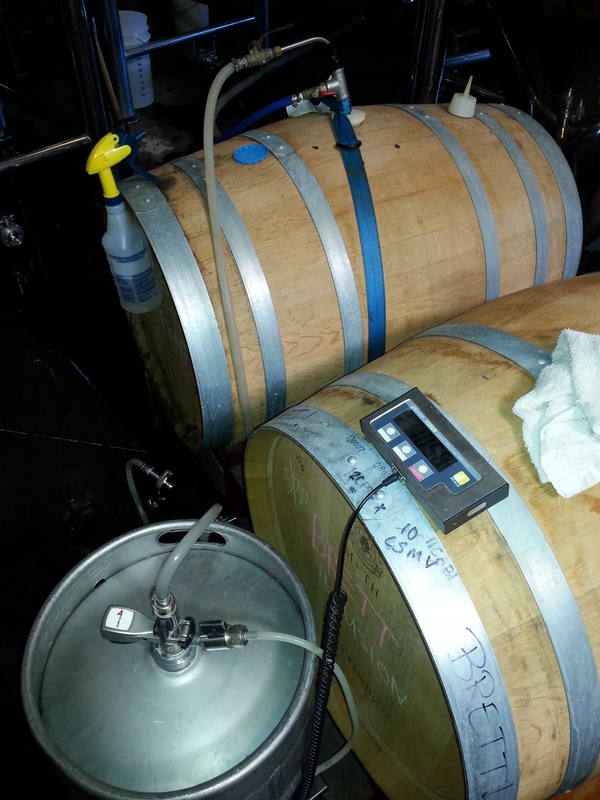 The barrel chosen was a wine barrel that had previously imparted very little character and produced very neutral beer. While that wasn’t great for a lot of what we were doing with our barrel program, it worked just fine for Brett beer. 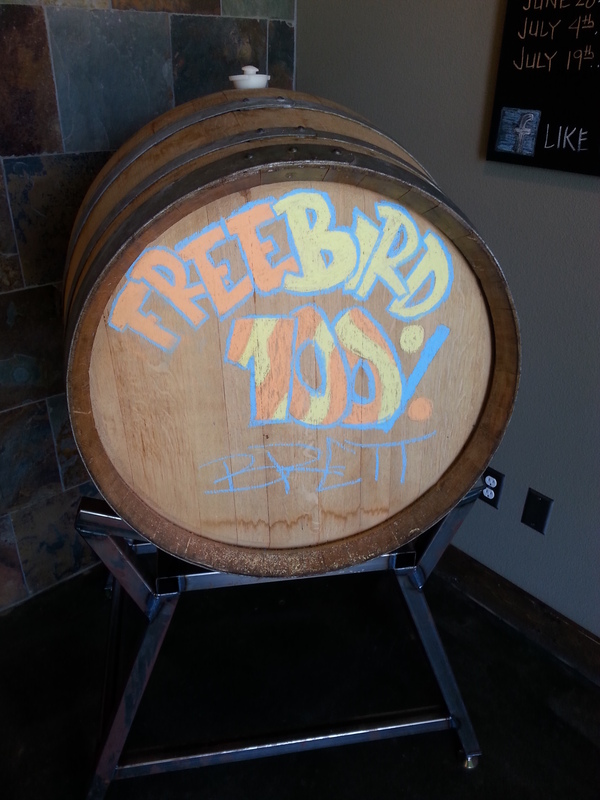 Free Bird started as simply a barrel fermented 100% WLP 644 Brett B Trois version of our flagship beer, Blood Orange Wit. We filled the barrel right off the brewhouse with wort and let the beer ferment predominantly in our storage space, as there are always concerns of cross-contamination with such a super-attenuating yeast (that can eat wood proteins). In this case the term ‘burn’ just means immerse everything in 180 degree water so we limit our chances of ‘clean’ beers getting extra funky flavors and attenuation from Brett. Along the way Free Bird morphed from a strictly Brett version of our Blood Orange Wit, to include a 5 gallon batch of 100% WLP 645 Brett C Wit & some pineapples and grapefruit blended in for good measure. I also made a 5 gallon batch of 100% WLP 650 Brett B Wit and that ended up being its own entity with blood oranges and limes, called What The Funk? 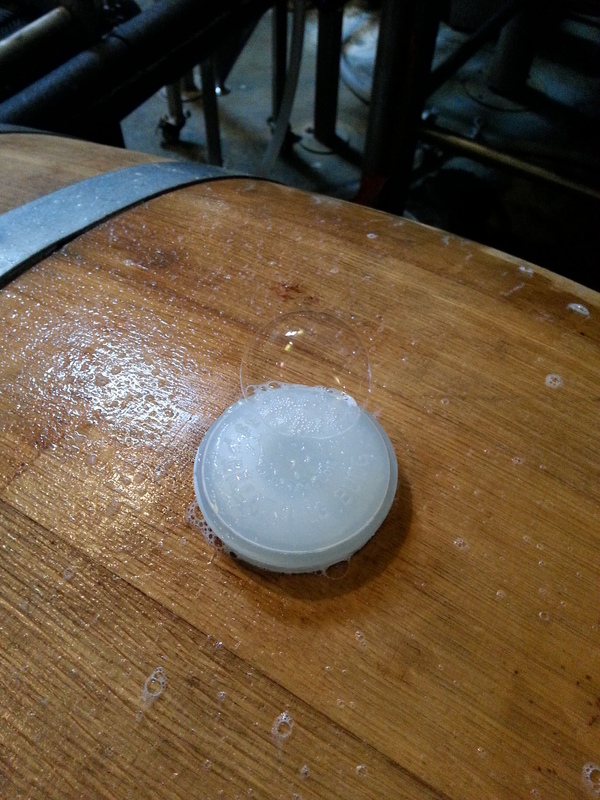 I’ve never seen a Brett B Trois fermentation take off that fast, but then again this was my first time re-pitching it. At any rate, we dry hopped Delusion with a healthy amount of Galaxy, Columbus, & Centennial and we’re all enjoying its bouquet of danky bubblegum and slightly funky melon notes. 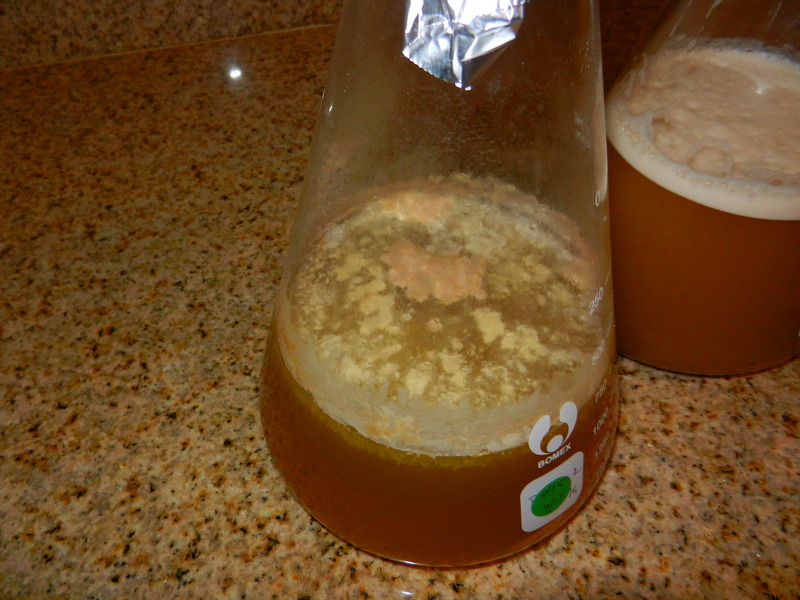 – 5 gallons of Refugee Tripel with limes & mangoes on Yeast Bay’s Beersel Brett blend. – 100% Brett B Trois version of our awesome Shelter 9 IPA dry hopped big with some fun things that may include El Dorado, Mosaic, Huell Melon, etc. This will be released at the August 16th Summer Nights event. – Sauvignon Blanc barrel aged Citra Saison with kumquats on the Yeast Bay’s Lochristi Brett blend. 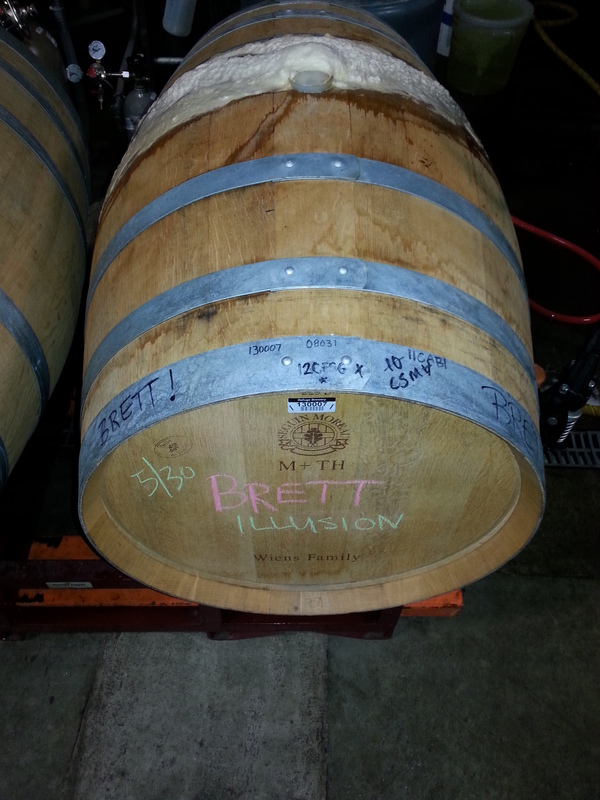 – White wine barrel aged Imperial Saison with strawberries and cherries on WLP 645 Brett C.
– All sorts of permutations and experiments using new strains and blends like the ones The Yeast Bay is offering. While we’re veering from the path of funk I should also mention that we were really excited to take 3 medals at this year’s San Diego International Beer Festival! Finally, I want to say a big thanks to The Mad Fermentationist, Michael Tonsmeire, for always being helpful and assuring me I wouldn’t have to worry about too much oxygen pick up if I fermented Free Bird in a barrel. There’s some beer that’ll be getting bottled and sent your way buddy! Jester King, as always, deserves a shout out too as they always open their brains for picking about many things farmhouse. They should be expecting beermail too! That’s all for now. If you find yourself in Southern California, come and drink all this funk so we can make more! Big news! I received a box of New Zealand hops from Farmhouse Brewing Supply today! Better yet, four of the varieties were hops I’ve never used/smelled or even chewed on! Of course I thought it would be fun to bust them open and record my initial impressions, then look up the descriptors for each & smell them again to see if I could pick those things out. Riwaka 5.2% AA – Got a little spice followed by fruity. A little grassy with a very present citrusy watermelon note. It’s described as a big grapefruity citrus ride. I may be identifying that big note as watermelon-like. Riwaka seems like a very intriguing little hop. Wakatu 7% AA – Starts a little earthy/musty then goes big artificial cherry. I’m very excited about this hop. Its descriptors are rounded floral with hints of lime. I’d still lean more towards cherry, but an awesome hop nonetheless. Can’t wait to use it! Southern Cross 12.7% AA – They use this hop in Sierra Nevada Southern Hemisphere. Hits me mostly grassy with a little unidentifiable fruit. Supposed to be citrus and spice but I’m getting more grass/earth and I’m not blown away by it. Topaz 16.4% AA – I get a hint of peacheyness followed by slightly dank grassy notes. Descriptors are earthy and lychee. I’ve never had lychee that I know of. Mostly get earthy/grassy. 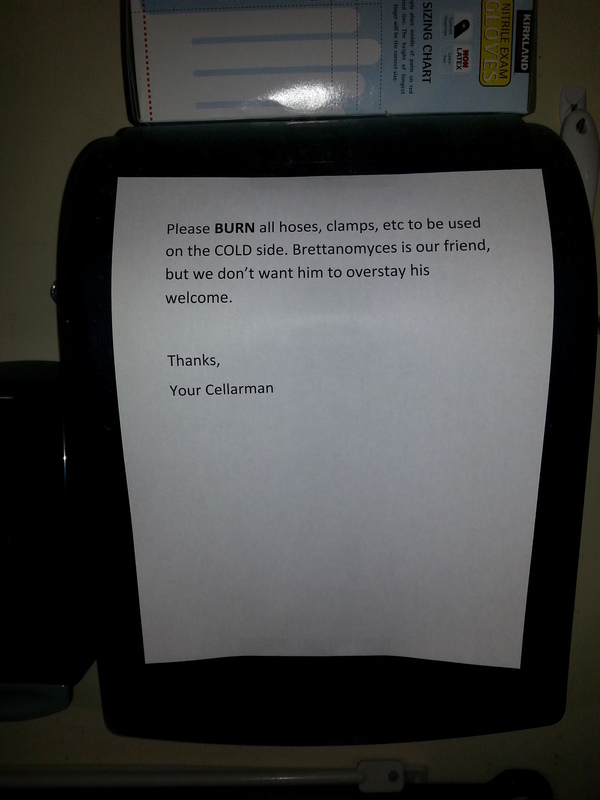 Should be fine for bittering. 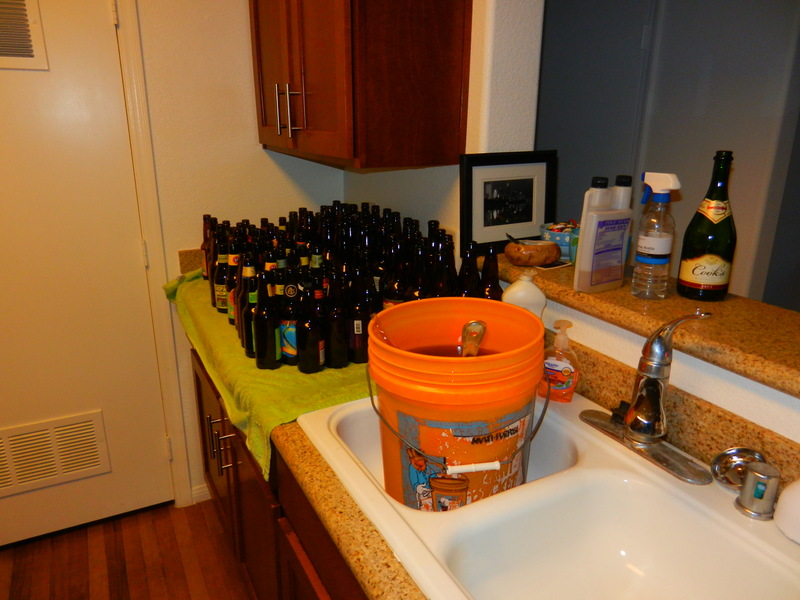 Other than burying my poor nose in crazy new NZ hops, I bottled 3 batches in the last 2 days. Cleaning & sanitizing all those bottles in my kitchen sink is not my favorite thing in the world but it did give me a chance to catch up on a decent amount of Brewing Network Sunday Sessions. I have to get a chest freezer & more kegging equipment sooner or later though. Just to preserve my sanity. All 3 batches were decent or better at the time of bottling. The 6/23 Tripel was nothing mind-blowing from the bucket. Tasted a little grainy. I’m hoping it develops a little in the bottle. The 6/14 Dubbel had promise. A little burnt raisin aroma. Looking forward to that carbing up. The 6/27 Nelson Sauvin Pale was pretty nice. Firm bitterness and plenty of hoppyness. A little cloudy from all the late & dry hopping, but pleasant out of the bucket. So far I’m thinking a touch more crystal/sweetness could be nice, but the point of the beer was a clean canvass to experience the marvelous Nelson hop. In that category I did not disappoint! 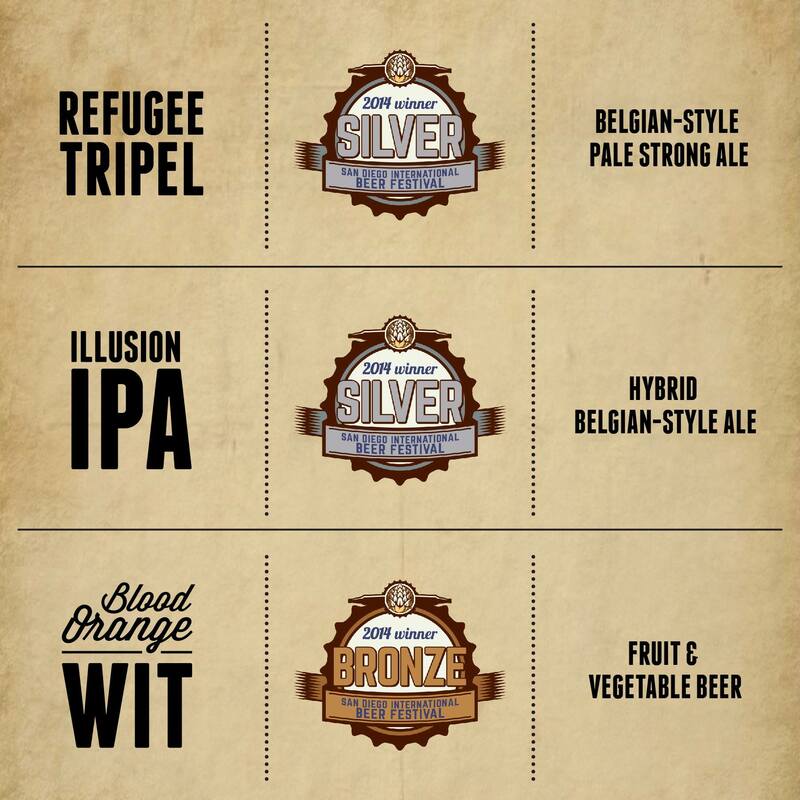 I’m still tinkering with names for all 3 beers. My lovely girlfriend wasn’t too impressed with my initial naming efforts. Dubbel For Nothing earned a blank stare. Raisin The Roof is being reserved for a future effort with raisins. The Tripel seemed a little bland so it may spend its days known as The Agnostic. My other mission of the day was getting all 3 year-round Brett strains (B, C, L) from White Labs stepped up and/or into starters. I’m not entirely sure what Bretted out experiment I’ll pursue in the coming weeks just yet. 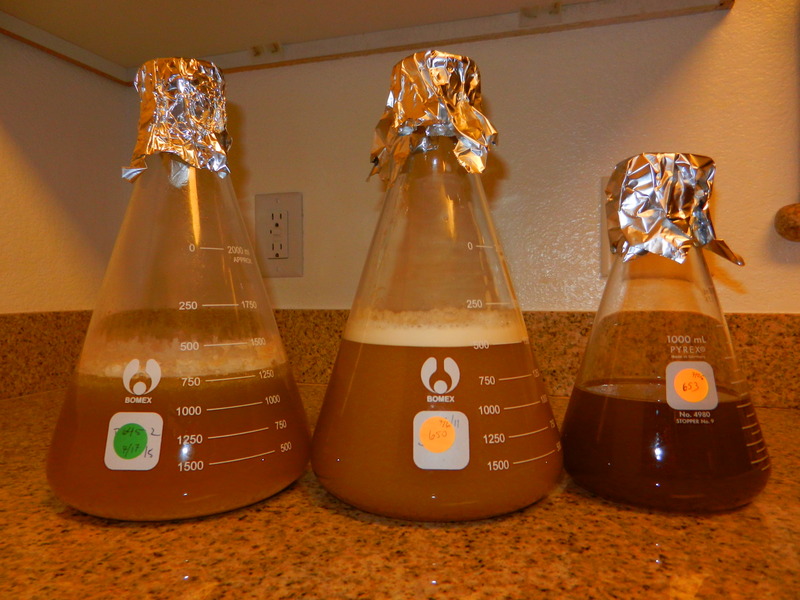 I’m still shaping a plan to use all 3 as 100% Brett fermentations on the same base recipe. Feel free to comment on what style of grain bill you’d lean towards, dear readers. Brett B had quite a turpentine-esque aroma and Brett C is looking especially fun. I’d be worried if it weren’t Brett. And even still I’m a little worried. Speaking of fun with Brett, I checked in on Sink Spoon Rye IPA today as well. Sink Spoon is the 100% Brett batch on WLP644 Brett B Trois that I brewed with Joe 12 days ago. The gravity is down to 1.020 at room temp and there is definitely some delightful funk in the aroma. No sign of sink-related bacteria acting wild. 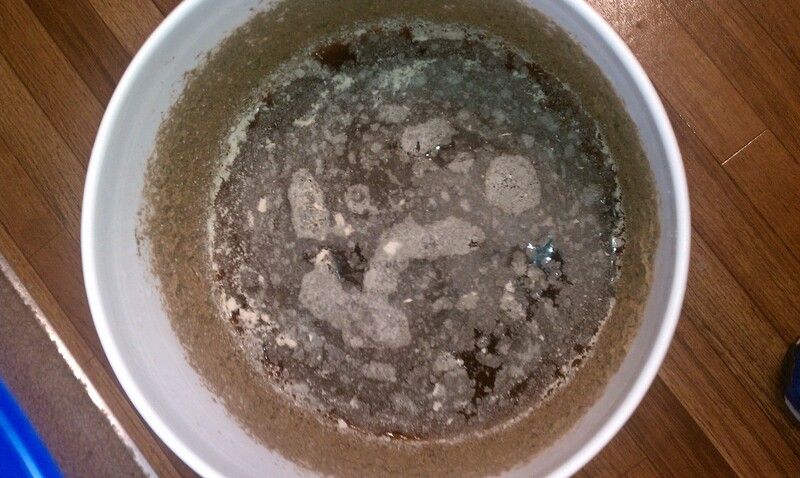 That’s all this mild-mannered homebrewer has to report for now. I’ll probably tinker around with a recipe for a New Zealand hopped version of Union Jack IPA tonight. One can never have too many IPAs. Frustratingly, I needed an overall score of 80% (& at least 70% on the tasting) to pass, so I’ll be taking another crack at it at Caesars in a few weeks. At least I know my ingredients and process pretty well! I’ll study up and be fine for my re-take. I still can’t believe the graders at Cicerone could fail a poor little homebrewer who flew all the way to Iowa to take the test on his 30th birthday, but they did. In other news, Friday’s brew session went pretty well. 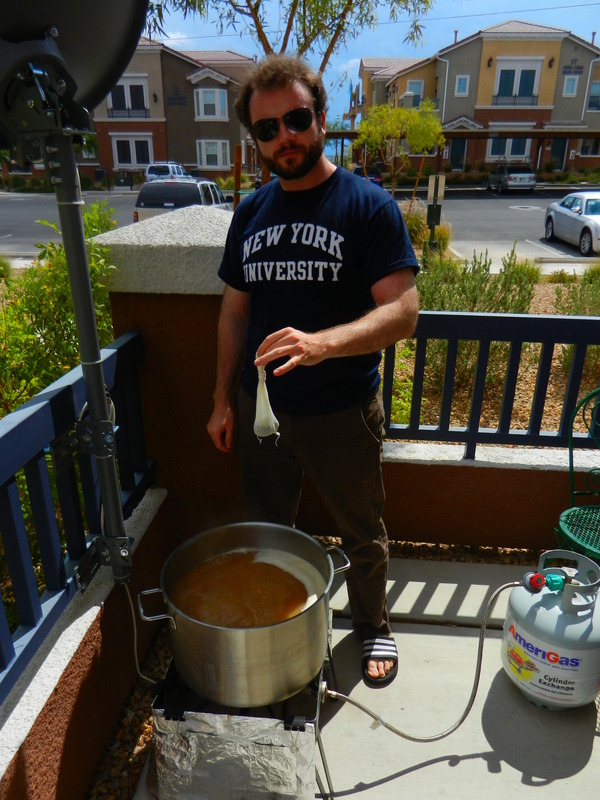 We did a single infusion mash & only a 60 minute boil so it was a pretty painless exercise. Joseph was a wonderful co-brewer. I’m slightly nervous about a mishap involving a discarded large metal spoon being taken from the sink and used to stir the cooling wort, but the Brett was stepped up so hopefully it out-competes anything we may have picked up. Regardless, this beer may be named Sink Spoon Brett Rye IPA. Pic above is Joe about to add one of the Citra & Nelson Sauvin hop additions. The WLP644 Brett starter tasted delicious. Tiny bit of funk and fruit. Really nice. I have high hopes. 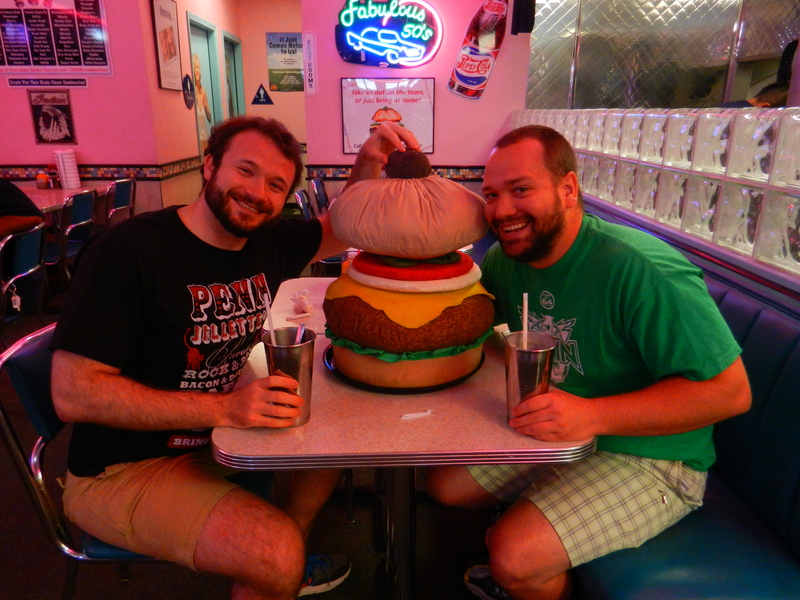 Also, Joe & I now have our pictures on the wall at Cheeburger Cheeburger for finishing their 1lb burger. We even had shakes with it. Thanks to my usual silly impulses, I’ll now be known as “The Jackhammer” in local competitive eating circles. 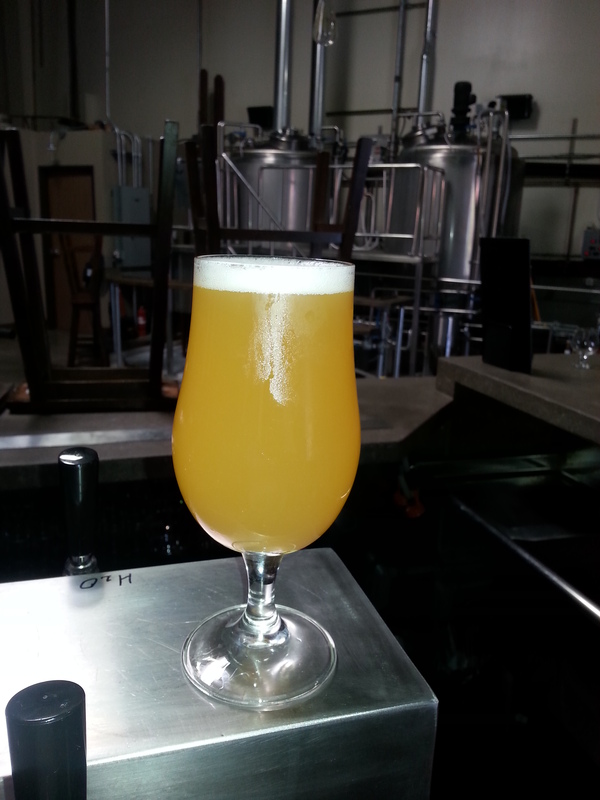 Lazy But Belgian – A big citrusy dry hopped American pale ale on White Labs 560 Saison yeast. Tastes like a spicy overripe pineapple. Entered in Belgian Specialty – category 16E. 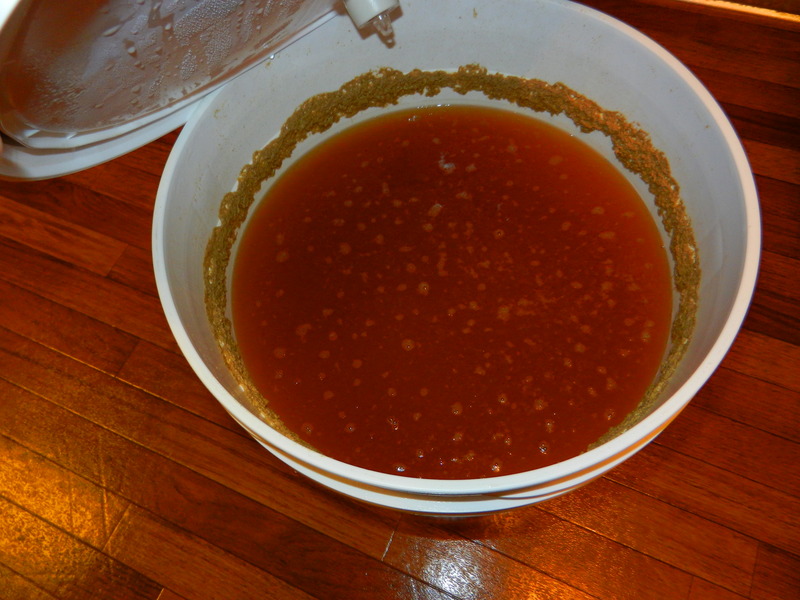 Lake Water For Chocolate – My attempt at a chocolate pale ale with a big pile of orangey hops. Entered in American Amber Ale – category 10B. 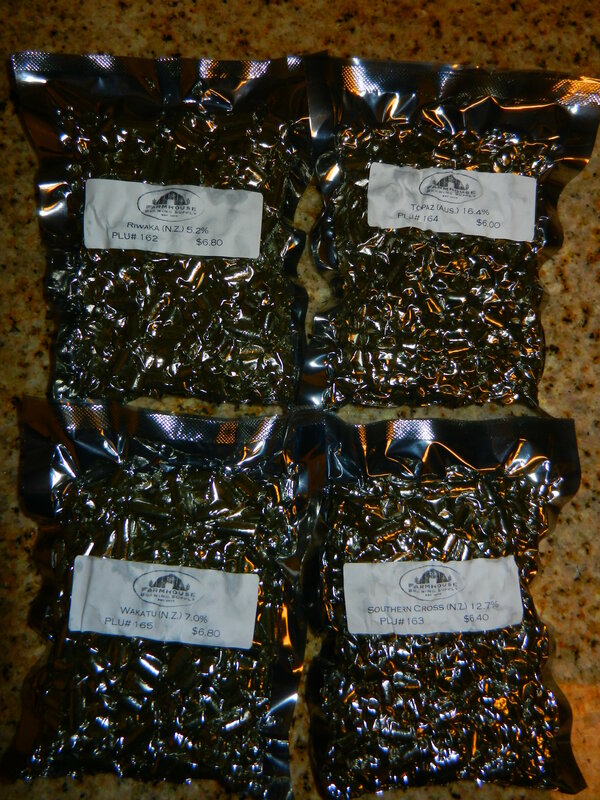 Hops Ate My Homework – An accidental double IPA that ended up using 1.5lbs of awesome citrusy hops. Aroma is wonderful. Entered as an Imperial IPA – category 14C. Alright, time to throw together a saison recipe or two to brew tomorrow and/or Wednesday! Just got Belgian Saison III WLP585 from U Bottle It and it’s already stirring away. Also, I’ll be working on a way to integrate my recipes into the blog but feel free to ask in the meantime. 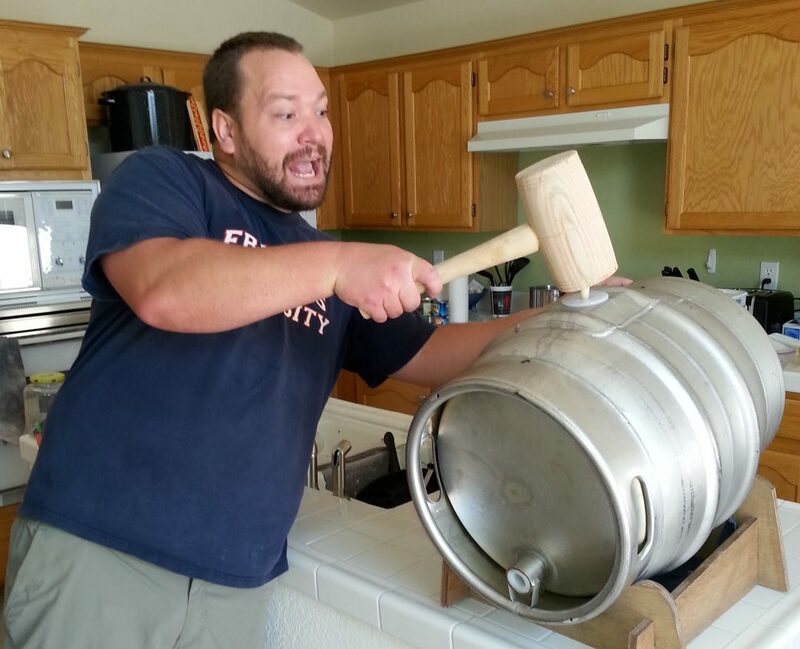 My co-brewer will be my good friend Joseph who is hitting town for the weekend and seems excited about brewing with me. I’m thinking I’ll hop it up with Nelson Sauvin & Citra because those tropical notes should play well with the light pineapple flavors the yeast will hopefully kick off. But I usually make my hop schedules while I’m mashing and I want Joe involved in hop selection, so if he likes something else in my freezer then we’ll use it. In other news, I threw 4oz of dry hops into my 6/27 Nelson Pale & I’m cooling 12.1oz of invert sugar to throw into my 6/23 100% Brett C Tripel. I will of course share the recipes if these batches turn out good. 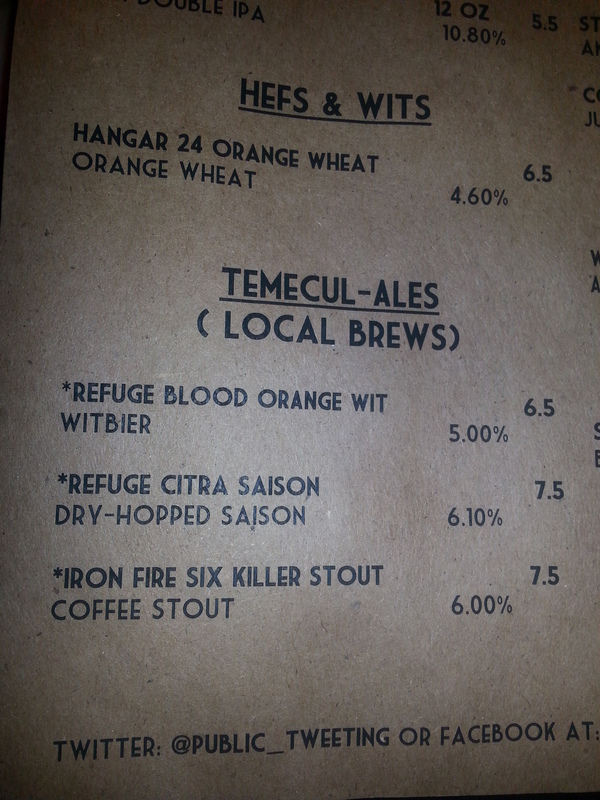 Also checked in on the wild 4 gallons of my 6/14 Dubbel. Looking awfully wild. This is a Belgian Dubbel that I let run on WLP500 for 4 days & then added sugar along with a stepped up dregs mix of Chimay, Stillwater, Goose Island, & Jolly Pumpkin. It’s smelling very Jolly-esque. Not a clue when it’ll be ready to bottle.